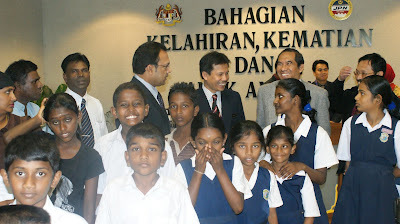 A survey is planned by Public Complaints Bureau to determine the number of pupilswithout birth certificates in primary schools, says Deputy Minister in the Prime Minister’s Department Senator Datuk T. Murugiah. He said he had received many complaints from parents and Parent-Teacher Associations that their children could not pursue secondary education as they did not have birth certificates. 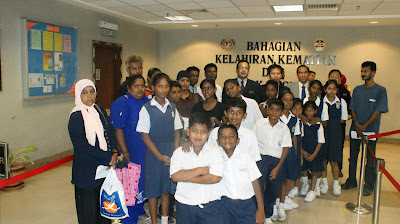 Murugiah cited SJK (Tamil) Puchong where 16 pupils did not have birth certificates. “This problem is rampant in many primary schools. I have instructed the bureau to send special forms to all schools so that they can tell us how many students don’t have birth certificates,” he said, adding the schools have one month to fill the forms and send them back to the bureau. Its a good move. We hope to see the results of the survey and the follow-up actions, even if Murugiah may not around to see it in a month. 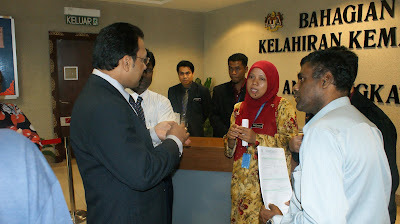 I remember last year, special task force were set up at NRD to facilitate identity document problems. Not sure what is the status of those task force now. Even political party like MIC handles such cases, so one can wonder if the schools did not approach th party officials, since Tamil schools and MIC are very much intertwined. Next question would be - is it the official responsibility of the school/HM/teacher to highlight such cases or can they just close two eyes? It should be a moral responsibility of course, but then, not many teachers/officials would have the time or know-how to handle such cases. And some may think that even the kids’ parents are not bothered or unable to do anything, so why should the teacher get involved. 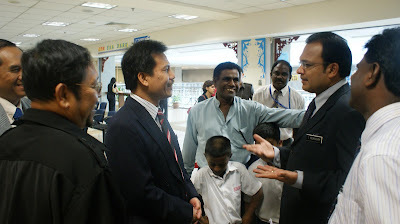 PETALING JAYA, July 3 (Bernama) -- Deputy Minister in the Prime Minister's Department Datuk T. Murugiah had a cultural shock when he visited the Cameron Highlands Hospital maternity ward recently and found Orang Asli mothers as young as 11 and 12 years old. The shock aside, what worried him more was that these minors were ignorant that they needed to register the births of their babies. He said that these girls would soon return to their homes in the remote villages and the babies would remain without a birth certificate. "This will pose a problem not only for the child and the parents but also the government in later years," he said. 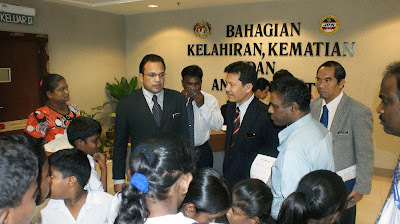 Speaking to reporters after meeting the Putra Heights residents in Subang Jaya, near here, Murugiah said he would bring up the issue of non-registration with the National Registration Department to see if it could appoint a special officer to handle such cases. He said similar cases existed in Sabah and Sarawak and solutions needed to be found to avoid problems later. He said that the number of complaints received by the Public Complaints Bureau (PCB) annually about children without birth certificates was high and it was quite a task to solve some of these cases. 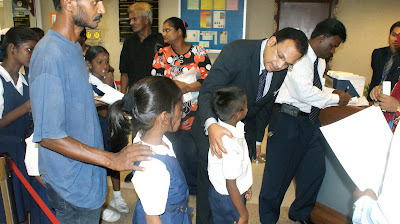 PETALING JAYA: Deputy Minister in the Prime Minister's Department Datuk T. Murugiah had a shock when he visited the Cameron Highlands Hospital maternity ward recently and found Orang Asli mothers as young as 11 and 12 years old. What worried him more was that these minors were ignorant that they needed to register the births of their babies. He said that these girls would soon return to their homes in remote villages and the babies would remain without a birth certificate. "This will pose a problem not only for the child and the parents but also the government in later years," he told Bernama. Orang Asli Affairs Department (JHEOA) public relations officer Jaafar Jantan said the problem was only limited to remote and fringe areas. "Most of the urban ones are aware and will register their babies right after their births," he told the New Straits Times. 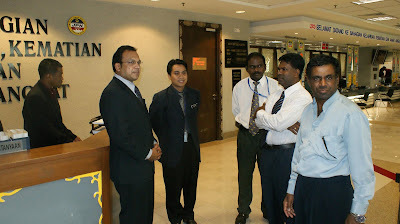 Jaafar was responding to Murugiah who raised the issue after a recent visit to Cameron Highlands. "We work closely with the National Registration Department to register new births and also help the Orang Asli to get identification cards," Jaafar said. 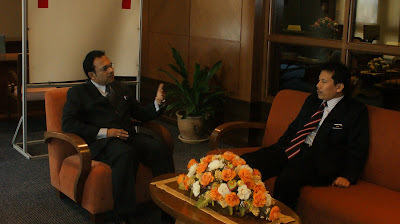 He said JHEAO was reaching out to the Orang Asli communities deep in rural areas through the Mindset programme. He said various government agency officials were also part of the programme. "There is also a JHEAO official at the district level who keeps track of such cases." Jaafar also said that although there were child brides within the communities, they mostly lived in pockets of areas which were far from civilisation. "It is still accepted in their society to start a family as soon as one hits puberty. Again, these cases happen mostly in rural areas."